The City of Albert Lea has put together a Wish Book to give contributors an idea of the type of projects needed in our city. We invite you to participate in the future of our community. This Wish Book is only a sampling of ideas that would contribute to the quality of life in Albert Lea. 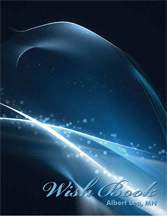 Click on the photo for a pdf version of the wishbook. If you are interested in making a contribution, please call the City Manager’s office, 507-377-4330.